Located at the corner of London Ave and Dix Hwy just off I-75, Extra Space Storage serves residents of Lincoln Park, Allen Park, Ecorse, Southgate, and more. Locals will recognize our facility a few minutes south of Lincoln Park High School. Extra Space Storage on London Ave offers a wide range of storage units, climate-controlled storage, vehicle storage, and exceptional security. 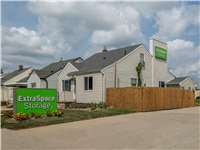 We're the self storage partner for you in Lincoln Park! With units ranging from 5x5 to 20x25, our Lincoln Park storage facility can handle items of all sizes! We also have units with convenient features like indoor access, first-floor access, and drive-up access. Our London Ave storage facility utilizes security measures like electronic gate access, an on-site resident manager, and 24-hour video surveillance to ensure our customers and their belongings are safe. With a climate-controlled unit, your temperature-sensitive items are protected from extreme heat and cold year-round. These units maintain an environment between 55 and 80° at all times and are available in sizes 5x5 to 10x30. Looking for secure vehicle storage in Lincoln Park? Extra Space Storage has 8x20 to 8x35 outdoor parking and 10x10 to 20x25 enclosed drive-up units that can accommodate motorcycles, cars, boats, and RVs. 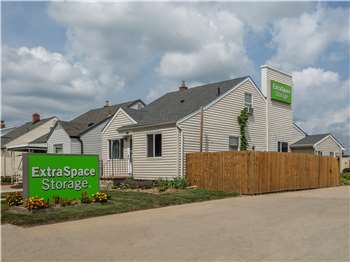 At Extra Space Storage, it's our mission to provide reliable self storage with excellent customer service. To ensure that we exceed your expectations, we maintain a clean, secure facility at all times and employ a friendly, professional staff committed to delivering a great experience. Contact us today to reserve a storage unit in Lincoln Park! I researched many places and found the online sale for my unit to be much cheaper at this location. The service was great and all my questions were answered thoroughly with no stone left unturned! Extra space has lots of great size tools units, inside, outside whatever you need to store they have the room and the staff is great, they will make sure you have everything you need, plus they are very good about checking their units all day, your stuff will be safe here. Office staff is very friendly and informative! Made the process super quick and easy! Although I started to rent with Extra Space because of the price. But I have grown alliance with them because of the Customer Experience! They are responsive, understanding and will listen. The guy who worked there was very helpful,friendly and nice. He made it easy for me to understand and pick a storage that was right for me and my needs. Best Place by far, no reason to look any further. It has been a great experience using Extra Space Storage...From start to finish it has been an easy transition. The twice a year rate increases are practically predatory. We are paying triple what we started with. DON'T DO IT. This place is only good for short term storage. 1-5 months top. The manager was extremely nice. I think it is false advertisement saying a unit is $33.00 when in actuality you require people to buy insurance which brings it to 44.00. It needs to be stated clearly on website. I have had storage units for years and this has never been required. The facility is fine, however the rent increases are far too often and far too high. I would never recommend this place to anyone except for very short term storage and only if you are absolutely certain it will be for a short term. Their pay online seldom works properly and the process has to be repeated 5-6 times before it goes through. If you're not careful, you will be charged late fees to add to the already exhorbitant prices. Also, the gate often don't work properly. The place is very clean and secure. Good Location, and Cost. Great place. Staff is amazing !! Carrie is helpful and knowledgeable. I feel if I need something later on she will be happy to assist. This is one of the better storage facilities and the prices are lower than anywhere else. I love Extra Space in Lincoln Park, Mi. The staff is awesome, the facilty is awesome, and they dont have all of those ridiculous rate increases every few months. If you're looking for a great place to store your goods, give Extra Space a try. Great location, friendly, courteous and helpful staff. Having a temperature controlled unit sure helps during the freezing cold months in Michigan. Always friendly, courteous, knowledgeable and willing to help. The property is always clean and maintained. I'm glad I didn't make the mistake of choosing another facility. i love the people, we have hadd such wonderful experence with all of them for about 10yr< and never had a problem..you will love it to..plus great rates thank you for all your service. the staff and people are great and its excellent service here . Ive used this facility for several years. Im very happy with the ladies in the office, they are very friendly and helpful. I feel very secure if I need to go to my space after dark. I appreciate the constant updates the company does. Ive tried other places but none compare to Extra Space. Fast Clean excellent service. My warehouse away from Home. my facility is located great, for easy in and out. the employees as always very professional in any stituation. been dealing with them for years and will continue in the future. thanks guys for a great job. This storage facility meets all of our criteria. It is close to the freeway, it is clean, and well maintained. They have a hidden 6-9 month rate increases that is unacceptable! I have been a customer for over 7 years now, have 2 units and so sick of the rate going up every few months on both my units for no reason. I have referred many customers in the past that have left E.S.S. for this reason, and this is why I would never refer anyone else to Extra Space Storage in the future. The local representatives on site are very friendly and helpful, and the rate increases issue is not a reflection on them, but the company itself as a whole. Unacceptable for a LOYAL 7+ year customer! Drive southeast on M-39. Pass Target and continue straight. Cross I-94 and keep left on Southfield Rd. Turn right onto Dix Hwy. Turn right onto London Ave. Our facility will be immediately on the right. Drive north on Trenton Rd. Turn right onto Dix Toledo Rd/Dix Hwy. Pass CVS and continue straight. Turn left onto London Ave. Our facility will be immediately on the right. Drive west on Southfield Rd. Pass Walgreens and turn left onto Forest St. Turn left onto Southfield Rd. Turn right onto Fort St. Pass CVS and continue straight. Turn right onto London Ave. Our facility will be on the right after Dix Hwy. Drive northeast on I-75. Take exit 40 and follow signs for Dix Hwy. Merge onto Dix Hwy. Turn right onto London Ave. Our facility will be immediately on the right.